What an interesting long weekend. Went out Friday night with dutchy for some bass at a local reservoir. It was slow fishing. We managed a few small ones and think it is a matter of putting time in on that body of water till we find the big ones. No worries, we have all summer to get em. Early friday morning I set out for the last trip with my truck. This was the first time i took my canoe in that vehicle and quickly realized how much more covenient my old van was for this type of tripping. The canoe is 12 feet and the truck box is 8 feet.. therefore I couldn;t close the cab. Since I usually sleep in a Walmart or Tim Horton's parking lot when i do this type of tripping, I had to sleep in the cab. I may be a little guy, but i do like to sleep on a flat surface. Friday night was also the first time an officer rapped on my window and told me I had to move the truck 50 feet to sleep there. Apparently I was on private property, with two tractor traiers, next to Timmies. Early saturday morning head to my favourite lake in the hopes if a great day of bassin and possibly a pike or two. I "woke up" a little groggy and absolutely aching from "sleeping" ( see tossing and turning every half hour or so). Got to the lake and headed out. The first 50 yards looked good... but then.... the dreaded green/blue algea bubbles started appearing... massive balls of it throughout the lake.... I don;t know what causes this, but the fishing was TERRIBLE except for the one pike I caught. It was hooked deep so I trolled back to shore and gave it to a dad with his 3 young sons that were shore fishing for pike. Around 3 pm I could barely keep my eyes open so I called it a day and headed to a small town where there was an informal wedding reception that I was invited to the night before. I knew there would be good food and fellowship there... and possibly a better place gto sleep in the truck for the night too. The food was great,.... the music was awesome... and i had a great sleep in the flat field in my truck. This morning came early.... my phone alarm works quite well when its time for fishing. I had heard rumours of brookies a few kilometers from this place and decided to check it out. Driving SLOOOOWWWWLY DOWN THE DUSTY ROAD ( with my cap window only half shut due to the canoe)seemed to take forever to find the little creek. Good thing I was driving slow.... I would have missed the creek for sure. Using m trusty weedless #8 hook with a worm and a split shot on my ultra was just the ticket for this little stream. A little guy.... put scrappy as heck. Next drift... fish on ! I put another half worm on and FISH ON ! three drifts... three brookies ! I couldn't believe my fortune.... This was just my second effort at targeting brookies..... What a feeling to find the right type of water and then to be rewarded with these beautiful little fish. This one had a cool little yellow stripe at its mouth.. The next 50 minutes were pure heaven... lots of hits and some more fish caught. As I mentioned in my previuos brookie thread a few weeks ago,....Thanks Dutchy for introducing me to this elusive gift of a fish. I think I will try for them again soon. Nice post Splash. Reminds me of when my Dad first took me fishing for small creek Brookies about 45 years ago. I've been obsessed ever since. Nice brookies! By very weary of the water temps though.. 70 degrees and up and there is a very good chance those fish will be belly even if they released ok. I love catching brookies more then anything, but late June/July is pretty much my limit when stream fishing. Thanks for the heads up Bill..... should I wait till sept then ? Great Report. Those Brookies are a nice looking fish that's forsure. 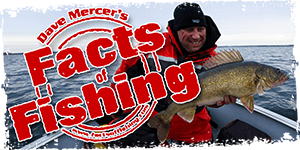 Just bring a thermometer with you and take the temp before you start fishing. If well under 70, you're good to go! I just got one of those underwater thermometers, I'll keep an eye out for that 70 degree threshold next time. Sleeping in the truck is brutal eh? I've had the worst sleeps of my life in truck cabs. At least you had a very productive weekend...I bet time just flew by and next thing you knew it was sunday night. Hopefully that little Kia can keep bringing you to some good spots in the future. Oh, and the lure selection for the brookies... can't go wrong with a gool 'ol worm n' stinker. Great multi-species report. I'm with Dan, those brookies bring back lots of childhood memories!